To Vera Jarvis, grandmother. From Daniel Jarvis. 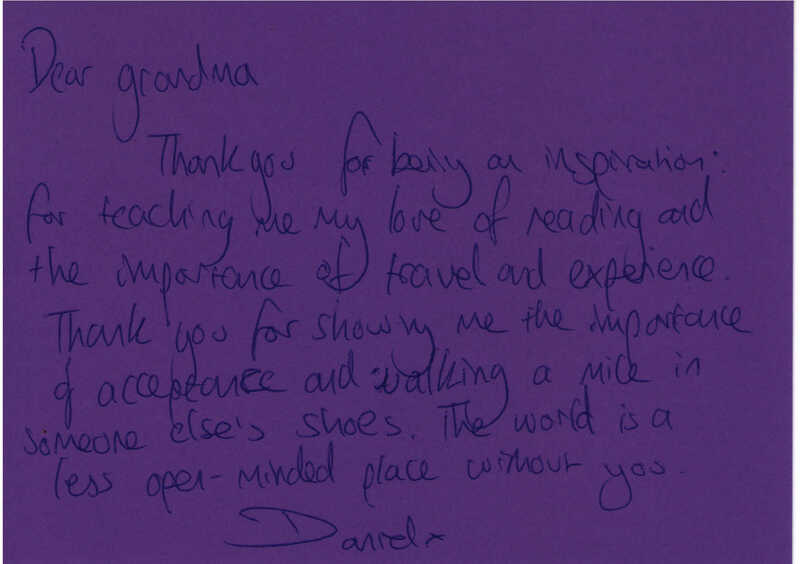 Thank you for being an inspiration: for teaching me my love of reading and the importance of travel and experience. Thank you for showing me the importance of acceptance and walking a mile in someone else’s shoes. The world is a less open-minded place without you.